1979 Y89 10th Anniversary Trans Am. The 10th Anniversary came decked out with all of the power options and a silver leather interior. It also came with a leather wrapped steering wheel and a new Delco ETR Digital radio. 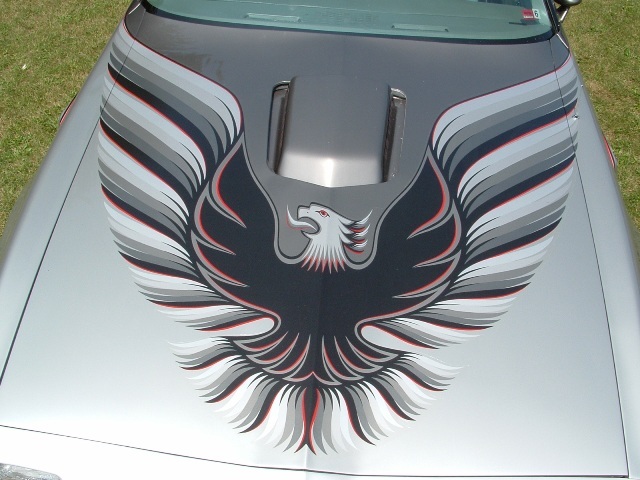 This was the largest hood bird on any Trans Am and the wing tips extended onto the fenders. In 1979, Pontiac Released the 10th Anniversary Pontiac Trans Am to commemorate the 10th Anniversary of the first Trans Am that rolled off the line in 1969. This was a limited production run of only 7500 Trans Ams. Really, the only options that were available on the 10th Anniversary Trans Am was the powertrain options. You had your choice of either the Pontiac 400 with the 4-Speed transmission, or the Olds 403 with the automatic transmission. Out of the 7500 production cars, 1,817 were equipped with the 400/4-speed combo, and 5,683 were equipped with the 403/auto combo. Standard on the 10th Anniversary was the two-tone silver and charcoal paint. All of the 10th Anniversary cars were fully equipped with the WS6 handling package, custom silver interior with "shag" carpet and the Firebird emblem embroidered in the door panels and also in the rear seat back. Also standard on all 10th Anniversary Trans Ams were power windows, power locks, Air Conditioning, power trunk release.... in short, pretty much every option available at the time. The interior was also trimmed with a special "Engine-turned" gear shift bezel that went nicely with the dash, which for this model was illuminated red instead of the normal white gauges. Standard on the 10th Anniversary was the two-tone silver and charcoal paint. This paint scheme was accented by a special 5 color hood-bird which wings extended over the hood and onto the side fenders. This was the largest hood bird ever put onto a Trans Am from the factory. The body of the car was also outlined in a special black and red stripe package much like the "Special Edition" striping of the earlier Special Edition Trans Ams. The red and black lines also separated the tw-tone color scheme on the upper part of the car. 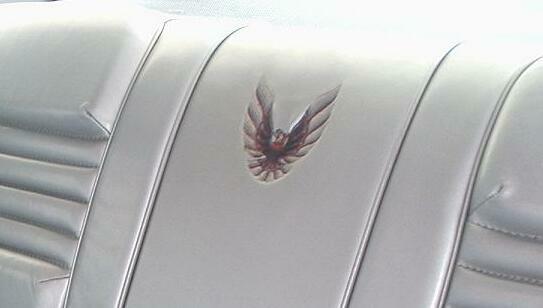 There were also special badges (decals) that were placed on the car signifying the 10th Anniversary Edition. 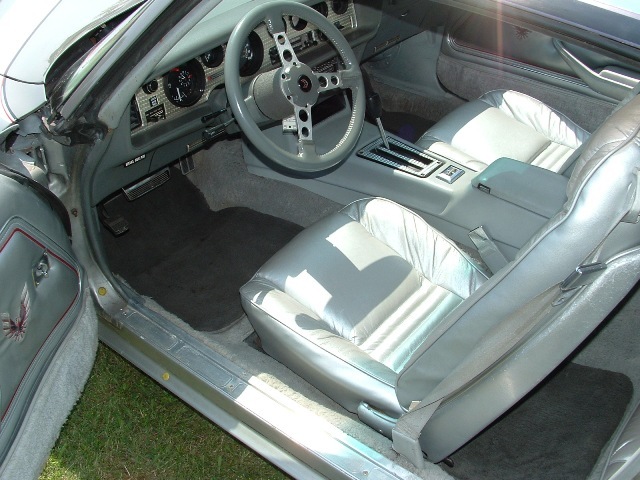 All of the 10th Anniversary car were fully equipped with a custom silver leather interior with "shag" carpet and the Firebird emblem embroidered in the door panels and also in the rear seat back. 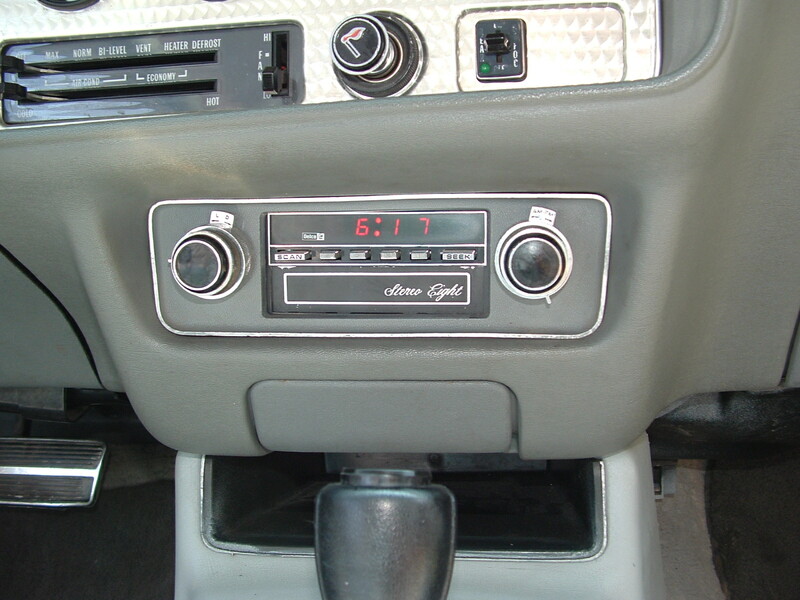 The center console came with a special "Engine-turned" gear shift bezel that went nicely with the dash, which for this model was illuminated by red lights instead of the normal white gauges. 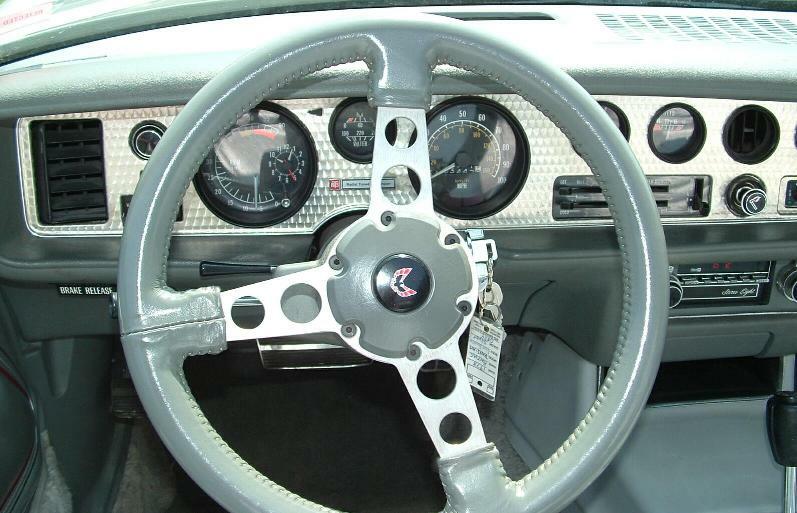 The leather wrapped steering wheel completed the appointments to the interior. All 10th Anniversary cars came fully equipped with power windows, power door locks, power trunk release, A/C, rear defogger, Delco digital ETR radio and deluxe dome lights. Basically every option that was available on the Trans Am came standard on the 10th Anniversary. 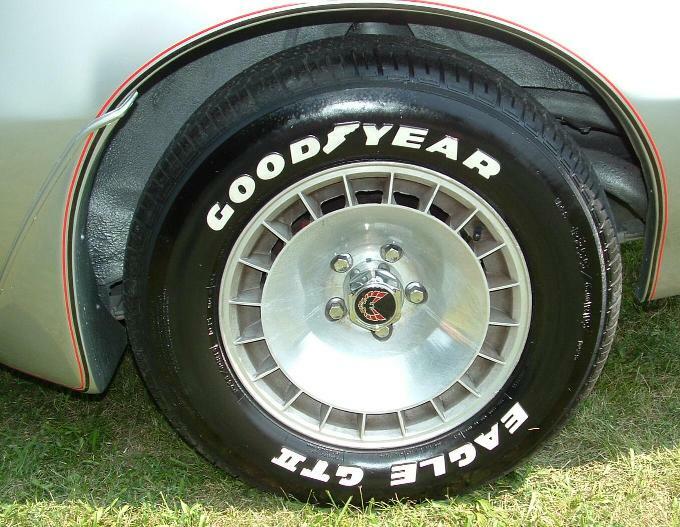 The 10th Anniversary Trans Am was the first time you saw the "Turbo" wheels seen on later Special Edition Turbo, Pace Car, and other Turbo Trans Ams. These were the 15x8 inch Turbo rims that came equipped with the WS6 handing package which was standard on the 10th Anniversary. 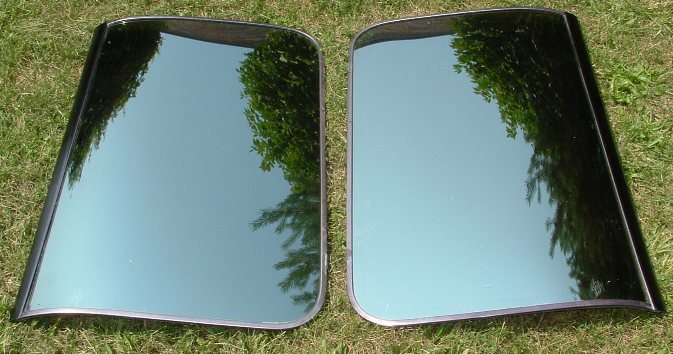 Much like the mirrored "gold" T-tops on the Y88 Gold Special Edition, the 10th Anniversary T-tops were now a special "silver" mirrored finish instead of the regular "smoked" finish of T-tops seen previously. Above are a few other links about the 10th Anniversary Trans Am. Here are a couple of quick items to look at when documenting or purchasing a 10th Anniversary. All-in-All, this wasn't your ordinary "run-of-the-mill" Trans Am. Just about everything on this car was taken to the next level to celebrate the 10th Anniversary of this popular Musclecar. Unlike Special Edition Trans Ams of the past, this car could easily be identified by using the VIN number as a reference. Instead of the normal "S" or "W" to signify Firebird or Trans Am, the 10th Anniversary had a "X" as the second digit in the VIN number to signify it is Special. 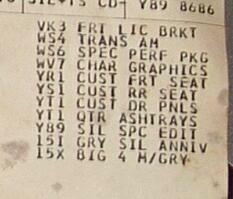 The build sheet also could easily identify that you had a 10th Anniversary Trans Am by locating the "Y89" code listed on the build sheet for the "Silver Special Edition". 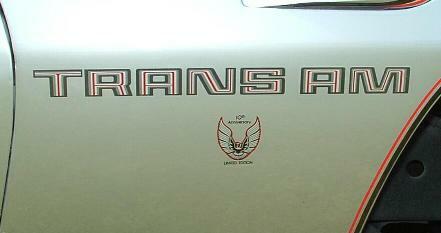 These are probably the most collectable of all 10th Anniversary Trans Ams. Although Pontiac produced 7,500 of the tenth anniversary cars, a handful of cars were prepared as pace cars on the NASCAR circuit, most notably those which wore the Daytona 500 guise. Sixty of these 10th Anniversary cars were involved in a "dealer drive-away program" where local dealers received a car that was used to parade around the Daytona Motor Speedway. These cars had "Daytona 500" emblems on the doors as well as NASCAR logos affixed to the rear quarter panels. The cars serial numbers were not believed to have documented and Pontiac offered the decal package across the parts counter so verifying an actual Daytona 500 Parade car may prove to be difficult. The "10th Anniversary Limited Edition Trans Am" was specially marketed to commemorate the 10th Anniversary since the introduction of the Trans Am . 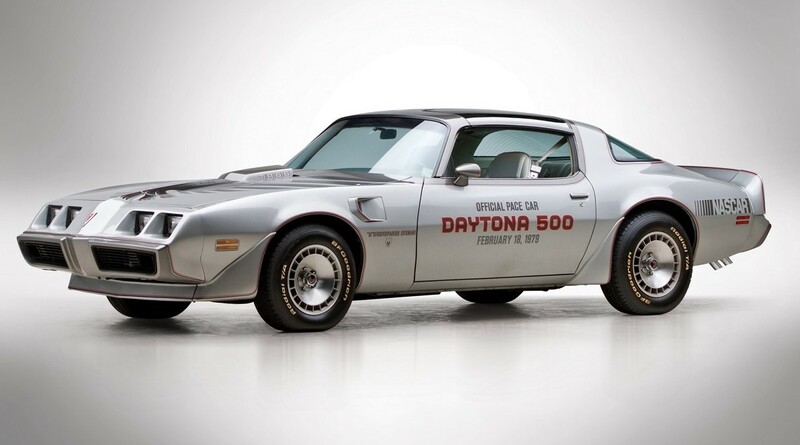 It made its public debut on Feb 18,1979 at Daytona Speedway as the Official Pace Car for the Daytona 500 which was also the first nationally televised Nascar race.